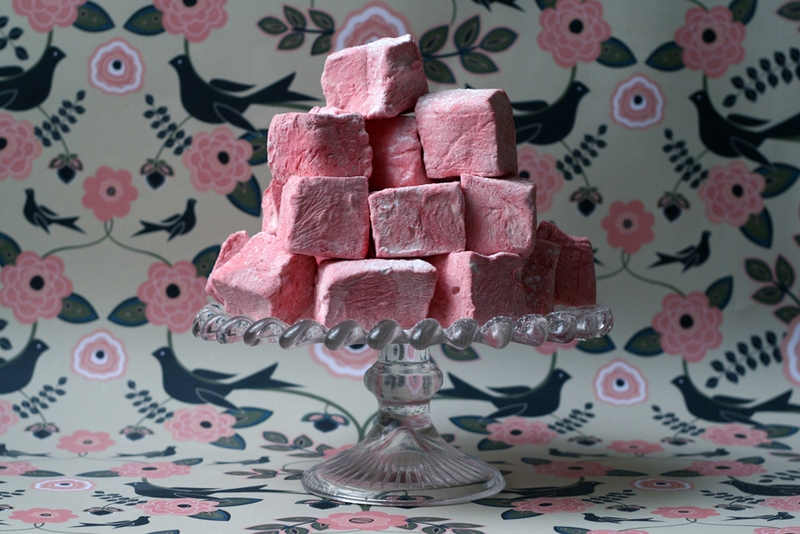 Juneberry Lane: Desserts For Fall Part 2: Homemade Pumpkin Spice Marshmallows! 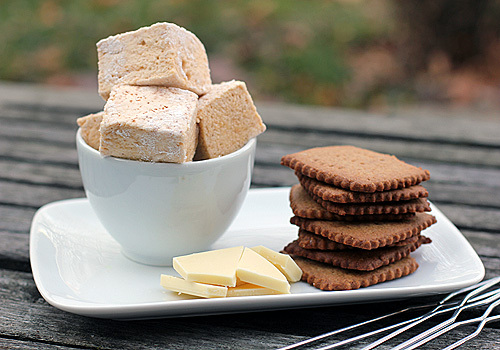 Desserts For Fall Part 2: Homemade Pumpkin Spice Marshmallows! Okay, I'll admit it, I can't quite get enough of the look of these homemade marshmallows. In fact, I am afraid I will never be able to use those processed, store bought versions in my hot cocoa ever again! First off, my eye is always drawn most happily to anything square; from my engagement ring to the pillows of my couch that I had custom designed to be 'knife-style' (square, of course:) So, not only is the shape of these treats making me happy, but the delicious flavors too! And what's more, they are so very much fun to make! So let's just take another look before we get a'cookin' . . . 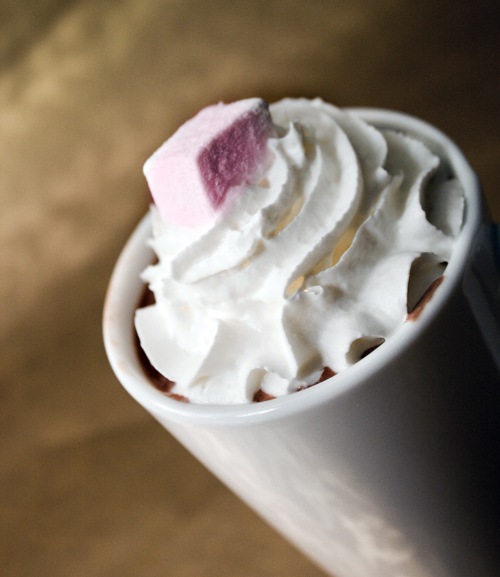 Looking pretty in piping hot cocoa . . . It might be a bit early, but a peppermint variety! A Neapolitan version?! 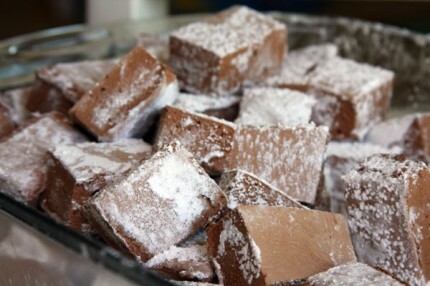 Can you imagine how good these would be in milk chocolate cocoa??! 1.) Lightly spray a standard baking sheet (9 x 13) with non-stick cooking spray, then rub gently with a paper towel to distribute the spray and leave just the merest sheen of oil on the sheet. Similarly, lightly spray a large offset spatula and set beside the prepared tray. 2.) Combine the pumpkin purée, 1/2 cup of cold water, & gelatin in a medium bowl and mix until well blended and smooth. Set aside. 3.) Combine second quantity of water (the other 1/2 cup), corn syrup, salt, and sugar in a 4-quart saucepan and place over medium heat. When mixture boils, brush down the sides of the pan above the upper surface of the syrup with a clean, moistened pastry brush, or cover the pot with a lid for two minutes to allow the condensation to dissolve any lingering crystals. 4.) Place a candy or instant read thermometer into the syrup and continue to cook, without stirring, until syrup reaches 255F (hard ball). Remove pan from heat and carefully stir in pumpkin-gelatin mixture. 5.) Pour this mixture into the bowl of an electric stand mixer fitted with the whisk attachment. Quickly cover bowl with loosely draped plastic wrap or a clean kitchen towel in order to avoid splatters, and gradually increase the mixer speed to "high". 6.) Whip mixture for 10 minutes. At the beginning of the final minute of whipping, sprinkle in ginger, cinnamon and cloves and continue to whip. 7.) Scrap mixture into prepared pan and spread out smooth with oiled offset spatula. 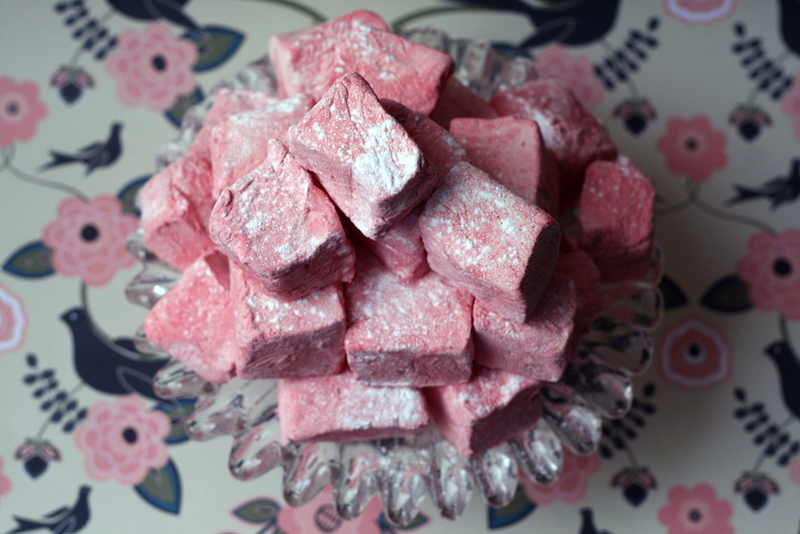 Set marshmallow aside, uncovered, at room temperature for at least 4 hours to over night before cutting. 8.) 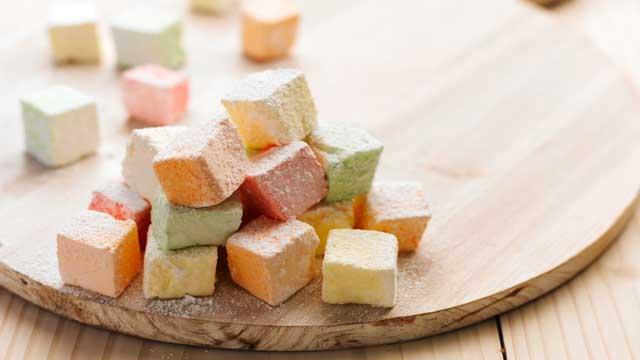 Before cutting the marshmallow, sift the three remaining ingredients together ( 2 tablespoons plus 2 teaspoons of cornstarch and curry powder-which adds a gorgeous extra layer & subtle savory note) into a medium mixing bowl. 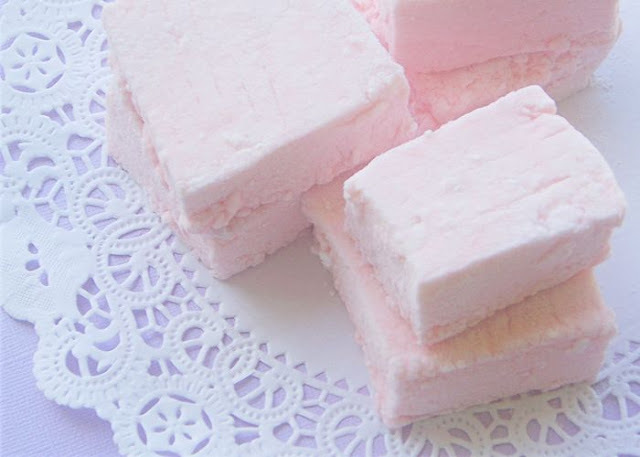 Cut marshmallows with a lightly oiled knife or pizza cutter and break into individual pieces. Toss with cornstarch mixture to completely coat, shaking off excess as much as possible. Store in an airtight container with the lid slightly ajar for up to three days. 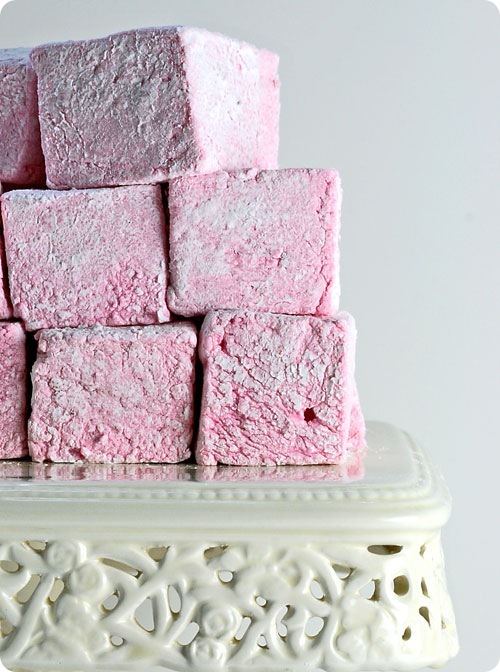 Who knew marshmallow-making was so easy to do?! Now you are all set to throw your own hayride with a s'more bar and toasty cups of cocoa to go! Have a lovely weekend! Aren't those fun and pretty!! And I love anything pumpkin!